I departed from my hometown bus station(Teluk Intan) to KL at 6.25pm and reach the Puduraya Bus Station at 9.30pm. As expected , my journey was quite rough as the bus company ,SPT , does not use the highway route and I was sitting at the back. After trying to contact my friends and checking out the hostel rate in KL, I decided to stay at Terminal Bersepadu Selatan (TBS). It seems that everyone was unavailable. To make things worse, the surau at TBS was locked and the hotel rate at TBS was a rip-off at RM15 per hour. As i roam inside TBS, a stranger whom I bet in the same condition as mine ask me to follow him to smoking room to sleep. 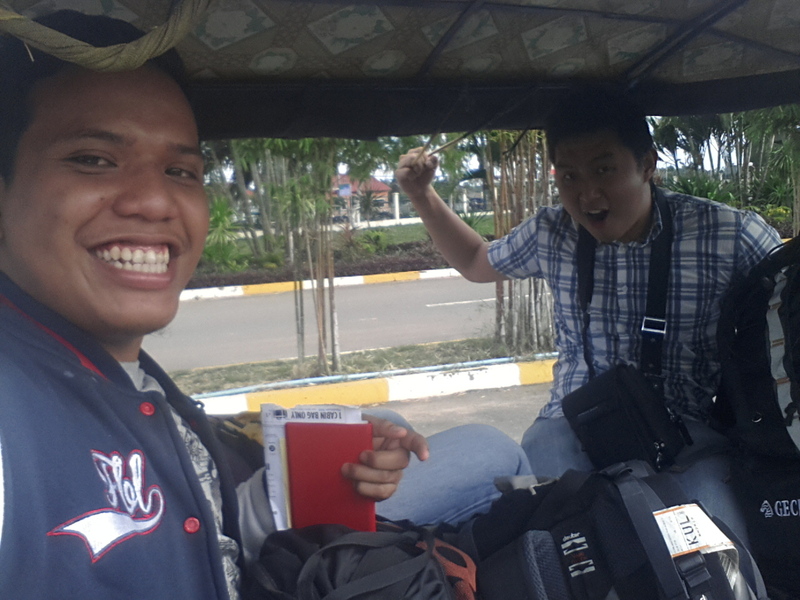 I initially quite hesitated but after exploring the whole tbs, i decided to go there and joined him. 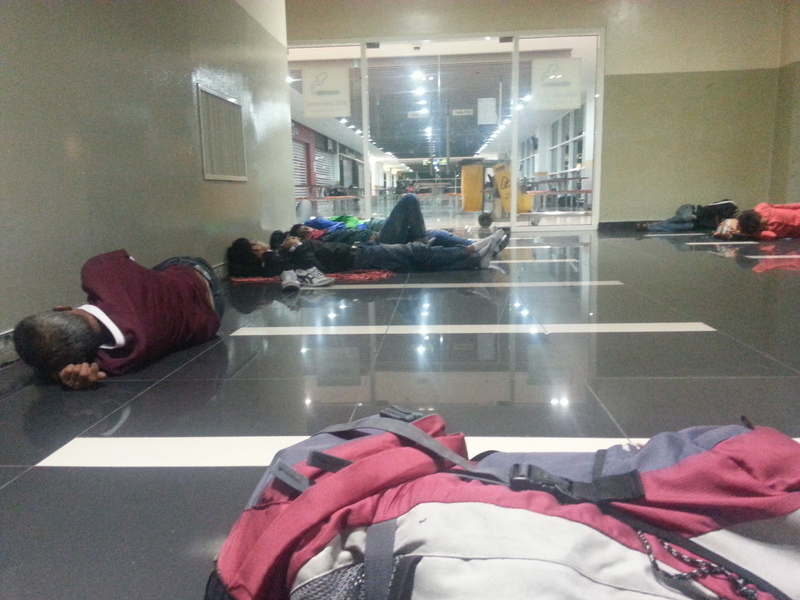 To my surprises, we are not the only people who are stranded as it looks like people are everywhere sleeping at chairs and foodcourt. I woke up at at 5.40am and perform my subuh prayer. Due to expensive price of food in KLIA , i decided to chill out at TBS and had my breakfast there. At 10am, i departed to KLIA2 by shuttle bus which cost only RM9 , which is way cheaper than KLIA transit which charges u at RM26. The journey takes about 45 mins. After that, I met my travel buddies a.k.a SRC mates , Cham and Dhanesh at KLIA2. I did my currency exchange at Maybank as the rate was better compared to CIMB and Bank Islam. We departed to Siem Reap with AirAsia AK540 at 1.30pm. Guess what, my fares only cost me RM70. I made friends with a guy named Simon from Australia which sits beside me. We chat about our own journey. Apparently, he and his GF are having vacation for 3 months. Yes, for 3 Months. I really admire their boldness when they want to do something. He just quit his job for the trip. 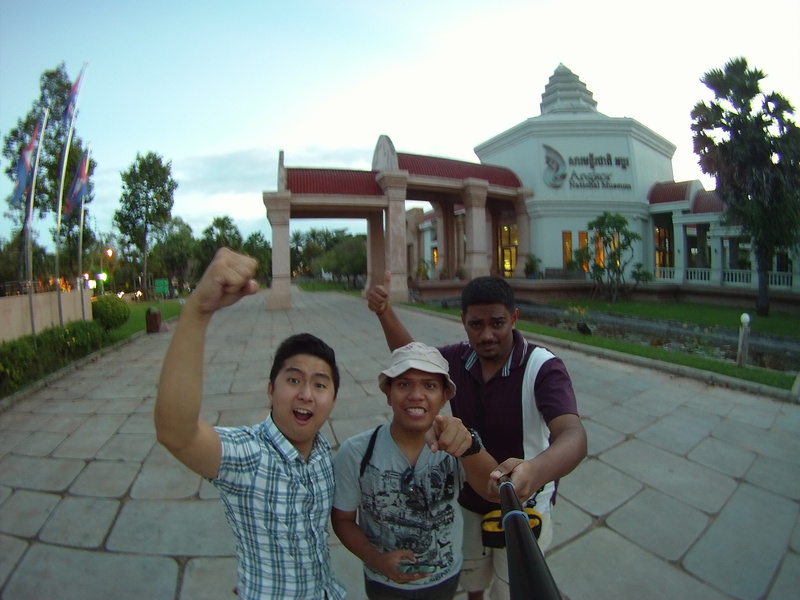 We arrived at Siem reap Airport around 2.30pm local time. The journey actually takes about 2 hours. After that, we went to our hostel that I had booked before through Agoda by using the Tuk-tuk that was provided by the hostel for free. The Hostel was about 5km from the airport. When we arrived there, the hostel lady was already there to greet us. The hostel location was perfect, as everything is within walking distance. We book triple room for 2 nights for RM 90. So roughly its around RM15 per person for each night. Totally worth it as the hospitality was good and the room was comfortable(by backpackers standard). We had our dinner at local restaurant in pubstreet. Bear in mind, everything here is in USD. 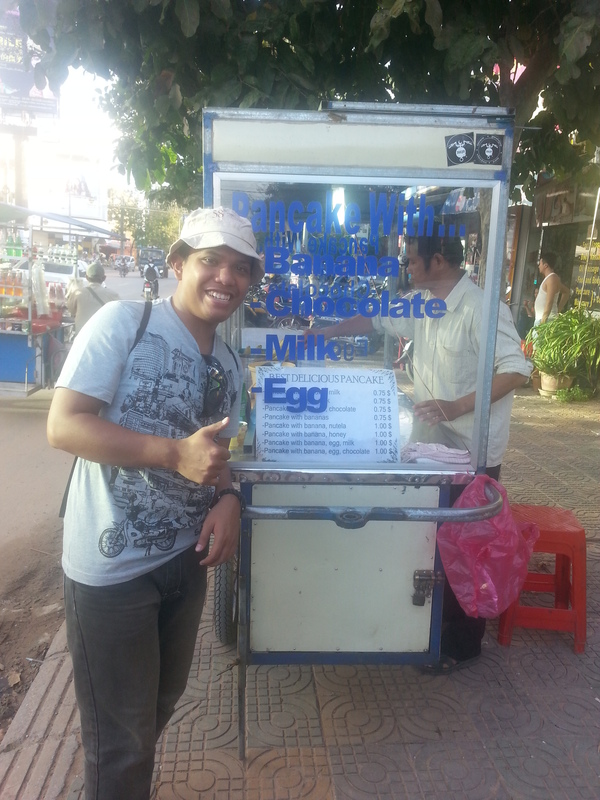 So make sure U bring enough USD if u plan to travel to cambodia. This is due to their very weak currency. There is KFC too in pubstreet. We book our bus to Bangkok that day to ensure that we did not miss out the tickets. It cost us USD28. yes I know might be quite expensive but the bus company that I chose is the best for Bangkok trip. I did my research and Nattakan services are good and hassle free. U can get bus ticket as cheap as USD15 , buttttt, u going to endure a tough time. 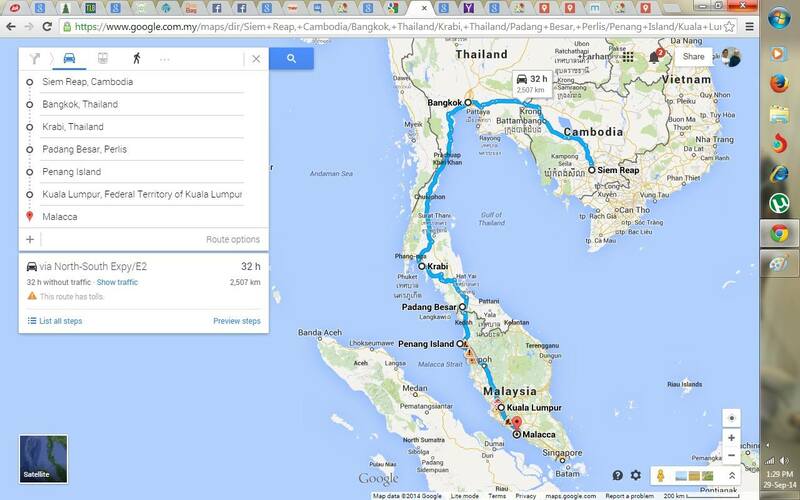 They would only send u to the border and u need to take van from the border to Bangkok. U can checkout from travel websites such as TripAdvisor for more details. I had the Banana Pancakes ! The taste was quite good. Its like a combination of roti canai and waffle. The road was dusty and it is advisable for traveller to bring face mask. 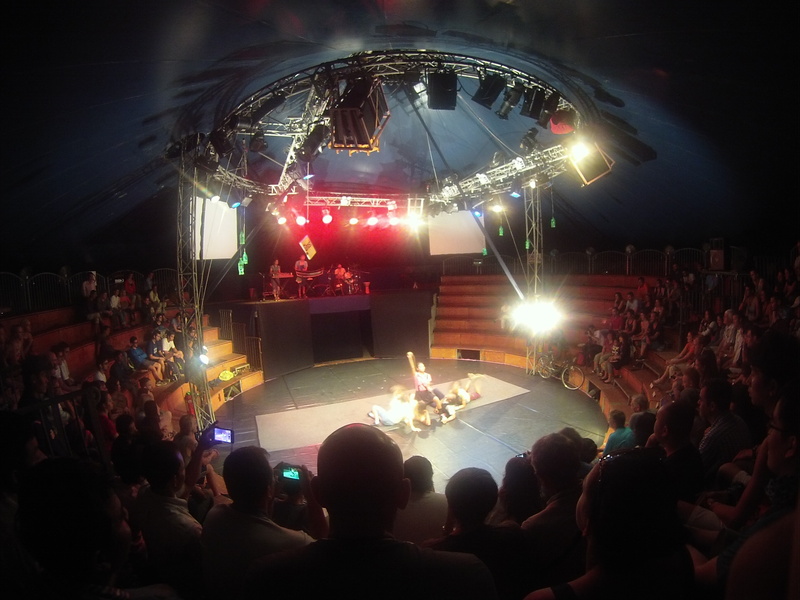 We enjoyed the Phare circus performance at night as it was rated 5 star in Trip Advisor. It is quite expensive though at USD 15 for one hour show.